May the Pure Stream of Your Virtues flow within me, in this world and in all the worlds to come. Blessed are They. 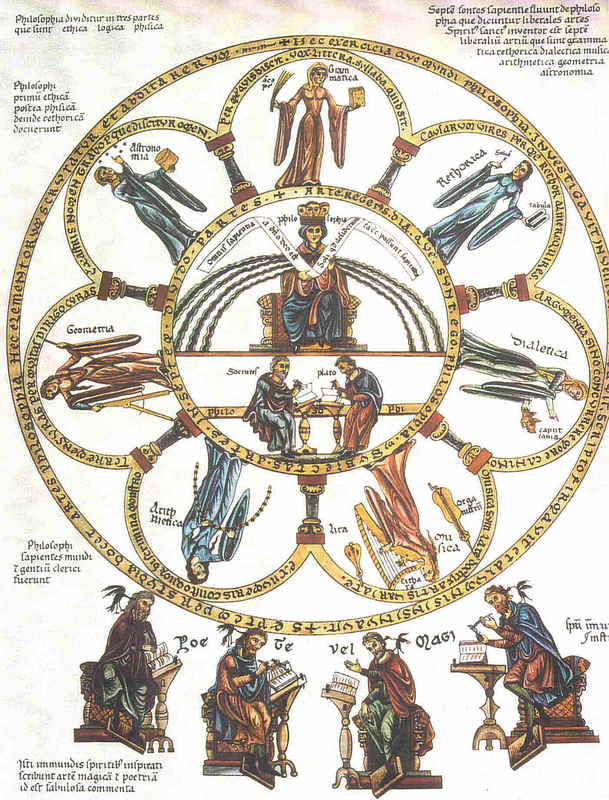 Déa has Seven Faces, Seven Powers, Seven Living Streams. Today, we celebrate and honor three of Them. 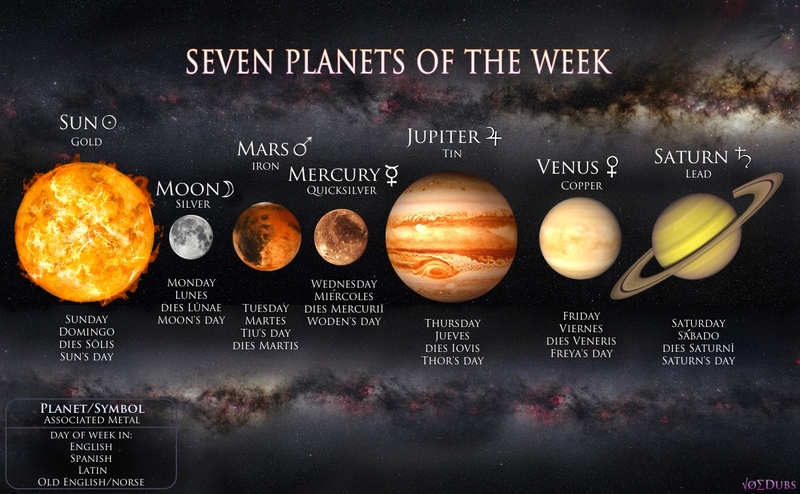 So today we look at Their correspondences, take on Their virtues, devotionally recite Their prayers and mantras under our menu Seven Great Janae. Devotees serve a Rite of Sacrifice, Deaconesses and Priestesses serve a Liturgy. The candles on the altar (which should be object blessed) and the veil/hat that we wear during formal prayer and ritual should be either black or indigo . (Keep in mind, the liturgical colors are the colors of the robes of the Janae. These are colors that are symbolic of Who They Are in Their Spiritual Essence.) The Moura altar cloth is the elemental seasonal color of violet. This can be a doily, hankey/handkerchief, table cloth. (Which should be object blessed). This is the only day during Moura when flowers are permitted on an altar in honor of the Trinitarian Janae of Spirit. Madria Theia is the Face and Power of Dea Madria, our Divine Celestial Mother God. 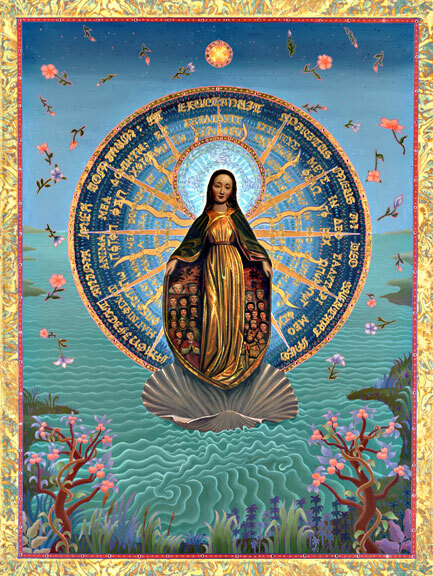 She, like the Holy Mother, is Brilliant Light. She is the Power of the Supernal Sun. She is Illumination and She illumines. She is all Joy with the promise of Eternal Bliss. Heaven shines through Her; its rays touch us, lightly. She is our Sun and our family’s Sun. She is the Light and Center of our life. She is the Power of Light. She is the Face of Radiance. She is the Divine Prism of the Resplendence of the Mother. She is with us every day and in every way. The charge of Madria Theia, is that we emit joy from our hearts in our everyday lives and mindfully strive to live a joy-filled day. When we radiate joy, we become joy. We are the reflection of the Sun of Dea on Earth. On Sunnadi, we honor Madria Theia and practice Her Virtues. Madria Candra is the Face and Power of the Holy Daughter. She is the Reflection of Her Purity and She imparts to us, the Holy Daughter’s Reason. She is the Power of Priestesshood and She is the Mistress of priestesses. 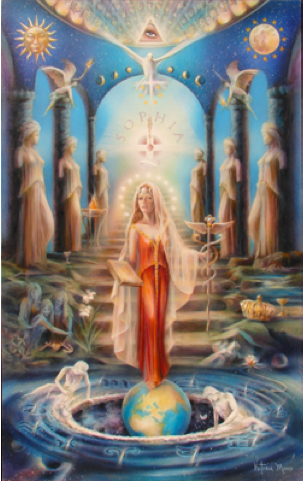 Silver rays fall from Her hands, imbuing the soul of the priestess, the deaconess, the sister, with the secrets of the Mystery, that which is intuited by the feminine heart, but cannot be put into words. The Moonlit magick that is not spells, but Nature and Pure. That which draws us to the Moon and is tied to Water. That which fill us and overflows us, within and without, is that which only our souls can understand. We are Her handmaidens. The charge of Madria Candra is that we always remember, are always mindful of who we are and how we have been marked, in Her service, with every step we tred; with every act we make; and with every word we speak. As priestesses, deaconesses and sisters, we look to Madria Candra as our mentor. In the priestesshood, we are Her handmaidens who channel the Holy Daughter through liturgy and grace. We are a reflection of the Moon of Dea on Earth. On Lunadi, we honor Her and practice Her Virtues. Madria Rhea is the Face and Power of the Great Mother. She, like the Great Mother, is Dark beyond the light and Light beyond the Darkness. (From our liturgies). She is a Reflection of Mystery, Mysteria, She Who is the Great Mother. And yet, She is not distant; She is not unapproachable. In fact, She is the closest one, in a way. The Grandmother. The One Who loves you unconditionally and with Whom you feel the most comfortable. She is so Ancient, it is hard to fathom Her in your young eyes and mind, and yet, Her Great Maternal love envelops you and encompasses you. It’s ok that you don’t understand Her; She understands you. Do not fear to approach Her, She Who is the Ancient of Days, the Time before Dawn. Her planet, Saturn, means ‘to sow’. She is the Beginning; She is the Gardener;, She sows the Seeds of Life, the Sacred Apple Seeds of all the Living. These Seeds takes root in the Garden of All Being, the Holy Mother, the Matrix of Life. The Seed is given birth and is enveloped in a Soul by the Holy Daughter. Madria Rhea is the Great Mother’s Face, Her Power. She is our very beginning. She knows us more intimately than we know ourselves. She is not destruction; She is Life. Destruction is a natural part of physical life, but it has no reality in the Realm beyond this realm. Life, though, life is eternal. We are a reflection of the Saturn of Dea on Earth. On Foradi, we honor Her and practice Her Virtues. Let us bless the Janae of the Four-fold Earth. Blessed be the Janae of the Four-fold Earth. Note:  Indigo appears between blue and violet in a rainbow. Purple grapes and blueberries are indigo. The deep blue of dark denim blue jeans is indigo. She is of the three-fold Heaven and Guardian of Spirit and Center. Greek Name: Theia: meaning Brilliant Light. Face/Power/Orange Ray/Spirit/Form of the Celestial Mother. Feast Day: 14 Moura/March 5 (4 if a leap year). Madrian Appearance: An orange robe, either riding a lion or with a lion crouching at her feet. Tarot Association: The Major Arcana. Tarot Elemental Tool: The Bell. Lady of Light Chantry Transport animal: Two flying horses or two golden eagles. Sacred Carrier oil: Sunflower oil. Sacred Jewels: Diamond and Amber. She is of the three-fold Heaven and is Guardian of Spirit and Center. Face/Power/Violet Ray/Spirit/Form of the Holy Daughter. Color of Robes: Violet and Silver. Madrian Appearance: A violet or silver robe, youthful appearance. Lady of Light Chantry Transport animal: Two flying reindeer. Sacred Carrier oil: Pomegranate Seed oil. Sacred Essential oil: Ylang Ylang. Sacred Flower: European – White Water Lily. She is the Patroness/Mistress of Priestesses. She is of the three-fold Heaven and is the third Guardian of Spirit and Center. Greek Name: Rhea meaning: flowing stream. Face/Power/Indigo Ray/Spirit/Form of the Great Mother. Weekday: Foradi/Saturday. (Foraday- Solar Cross day). Madrian Appearance: Indigo or black robe, old woman. Birds: Crow, Raven and the Peacock. Sacred Tree: Yew, Alder, Gorse. Sacred Symbol: the Fora (or Celtic Eternal Knot Cross or Witches Cross).